Since the Civil Aviation Safety Authority (CASA) announced their anticipated drone registration, misinformation and fear mongering has been quick to follow. Drone registration is in the most part a very positive step for the continuance of drones in Australian skies. There is no doubt that drones are here to stay, their use provides economic, social and safety benefits across many areas. Australian business alone gains a competitive advantage and drones have become critical in their processes. In an environment where drones are available for purchase, to both child and professional alike, protective measures need to be put in place. Before the widespread adoption of drone technology, smaller RC aircraft were usually limited to a group of passionate RC flyers, quietly tinkering with their aircraft at the local MAAA model field. The club offered a safe, controlled area to fly, insuring the liability of members should the worst occur. Now drones appear in every shop window and are being taken to the streets en masse. Since drones have become widely popular the number of “cowboy” operators have exponentially increased. These are the drone users with no regard for safety measures or regulations, risking public safety. There is no place for non-compliance when it comes to aviation activities. This information can be observed in real time or by historical playback and covers a high percentage of popular drones being flown today. Even now, illegal flight activities are reasonably easy to identify but much harder to enforce. Enter drone registration, where the serial number broadcast by a drone matches an individual person in the drone registration database. Illegal flight activities are further discouraged and enforcement becomes much easier. Aviation around the world features a non-punitive culture and it would be remiss of a regulator to allow drone registration to erode this culture. The number of Remote Operator Certificates (ReOC) has now surpassed traditional Air Operator Certificates (AOC) for piloted aircraft. Traditional methods of funding the Civil Aviation Safety Authority (CASA) cause a disparity for remote aircraft operators. One common complaint from ReOC holders is how long processes such as approvals take to get completed. Whilst the drone registration fee is designed for cost recovery, aviation in Australia works on a user pays system. Simply put, if you want, you must pay. A funding strategy change can only be a positive result for remote aircraft. Another benefit of the drone registration system is data. On the commercial drone front, data and statistics are relatively easy to come by. 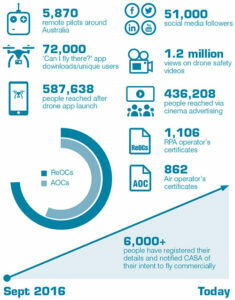 The number of Remote Operator Certificate and Remote Pilot Licence (RePL) holders is known. There is data through a voluntary survey surrounding how much flying is being undertaken by holders of Remote Operator Certificates. However, there is little data on how much flying excluded category holders are conducting and no information on the amount of recreational users. It is very hard to make decisions with no information. 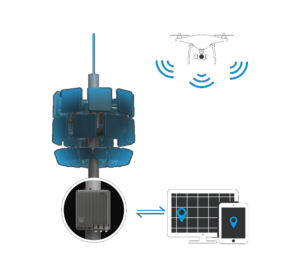 The drone registration process allows regulators to gain valuable insights on how, why and where drones are being used, enabling them make informed decisions to increase the capability of drones. Other frustrations occur when local government seek to control drone use. The additional statistical data, if shared, would enable these organisations to embrace safe use of drones rather than attempt to restrict it. Drone registration is not going to be implemented overnight. It is slated for the Remote Operator Certificate (ReOC) holders from July 2019. ReOC holders already have their remote aircraft listed within their Operations manual, a drone registration process is simply an extension of this. Estimated cost of drone registration for ReOC holders is $160 per drone. Recreational users have until November 2019, the drone registration process should be a well-oiled machine by this time. Estimated cost of drone registration for recreational users is $20. The drone registration process will be joined by an online training module for excluded and recreational users. If you don’t want to pay for drone registration there are a couple of options available. 1) Fly a remote aircraft less than 250 grams. 2) Fly a remote aircraft indoors. 3) Fly a remote aircraft at a CASA recognised model field. The drone registration system is a direct recommendation from the recent senate enquiry. Around the world, history shows that when governance of drones gets too hard, drones end up blanket banned. To date, Australia has been very progressive when it comes to the technology, featuring many world firsts in our airspace. 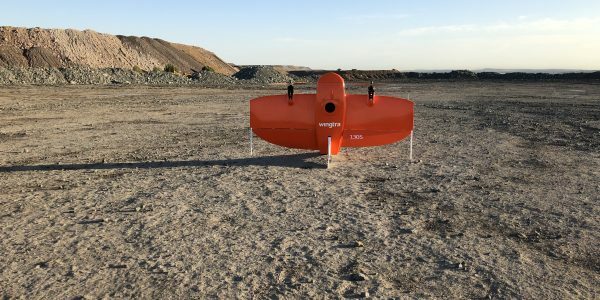 There is a financial burden to drone users by the implementation of the drone registration system, however the potential benefits from this system could significantly outweigh the cost. The true potential of drone technology is only at the beginning of being realised.